New Zealand has well and truly jumped on the foodie train with local and international chefs setting up shop in the capital city. With a cornucopia of fresh, local ingredients readily available and a cuisine vision that integrates styles from around the globe, Auckland is quickly blossoming into a food destination. This is especially true of the fine dining establishments that are popping up across the city. Viaduct Harbour is known as being the epicentre for Auckland’s fine dining scene, with an array of quality restaurants that incorporate everything from artisan eateries to chic gastronomic establishments. 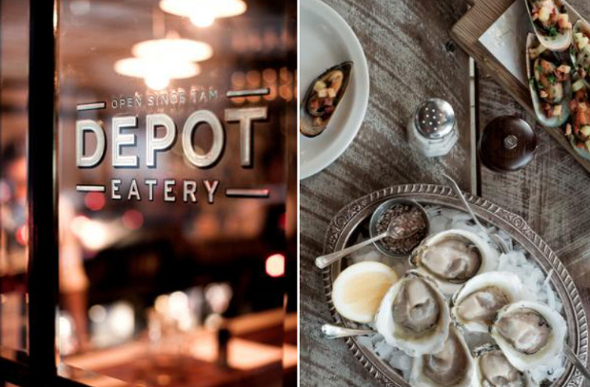 With more than 30 bars and restaurants to choose from, this is heaven for epicures. It may be worth starting your culinary journey here at Baduzzi. Winner of Metro’s Restaurateur of the Year 2014, this Italian-inspired restaurant perfectly toes the line between modern and traditional. Owned by Michael Dearth and headed up by executive chef Benjamin Bayly, Baduzzi’s menu takes you on a culinary journey from Europe to the Antipodes. Must try: Baduzzi is Sicilian for ‘meatballs’ and this happens to be the restaurant’s signature dish. These aren’t your typical meatballs though, with crayfish and Savoy cabbage, as well as grilled Wagyu with onion gravy versions to tempt the taste buds. 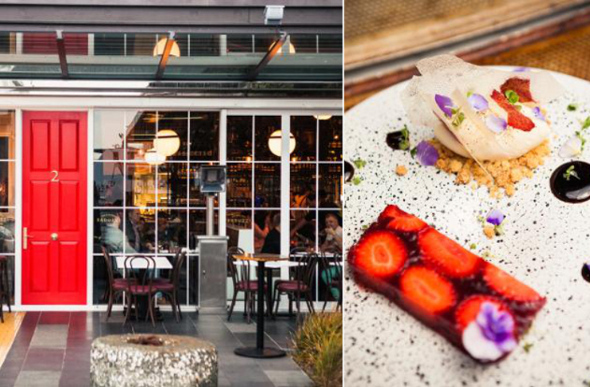 As one of Auckland’s most iconic restaurants, Tribeca has been drawing foodies since 1998. Its historic setting in the Foundation Building assists in creating a distinguished air, but the atmosphere is far from stuffy. Like many other New Zealand restaurants, this menu is inspired by local and seasonal produce. A la carte, tasting, group and courtyard menus are available as are dessert and cheese menus. Must try: The five-course tasting menu, which showcases the latest seasonal creations by head chef Ciaran Faherty. Since 1994, Cibo has been beckoning gastronomes to its off-the-beaten-path location in Parnell. Head chef Kate Fey leads the way in creating seasonal menus, showcasing modern creations that emphasise traditional flavour combinations. Dishes range from herb-spiced fish to liquorice charcoal-dusted Raukumara venison loin, with an extensive wine list to choose a complimentary pairing. Must try: If you have a sweet tooth, anything from the Cibo treats list is sure to satisfy, with decadent tastings such as passion fruit sherbet marshmallows, roasted nut baklava or lemon posset. Holding down the fort in Federal Street is Depot. A bit of a change from other fine dining offerings, this restaurant features a more casual approach to beautiful food that has been cooked with skill. It’s all about locally sourced, in-season produce prepared over charcoal or hard wood by head chef Al Brown. Plates are designed to be shared, encouraging great fun over great food. Must try: Freshly-shucked oysters from the Raw Bar or the ‘Craydog’ karengo crumbed crayfish with wasabi mayo and rock sugar syrup. Britomart is known as being an epicentre for all things hip and trendy in Auckland, and food is no exception. Laid-back eateries that serve up top-quality dishes with a heavy dose of modern flare and sophistication is the name of the game, and Ebisu stands as the epitome. 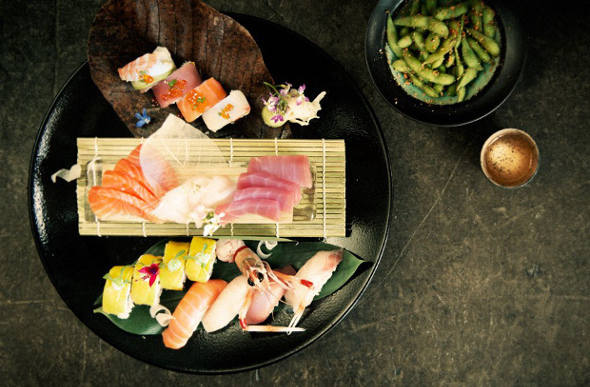 This Japanese restaurant is a contemporary take on traditional dishes with beautifully presented food. Must try: The new-style mixed sashimi fully demonstrates what Ebisu is all about – traditional dishes with a modern twist. Last but definitely not least, Sidart holds up a position in popular Ponsonby. If classic fine dining is what you’re after, this three-hat restaurant is for you. An elegant setting is bolstered by an innovative menu that changes with the seasons. Head chef and owner Sid Sahrawat aims to be at the forefront of food revolution, creating a unique dining experience with modern New Zealand cuisine on the plate. Must try: The Tuesday Test Kitchen experience (held every Tuesday). 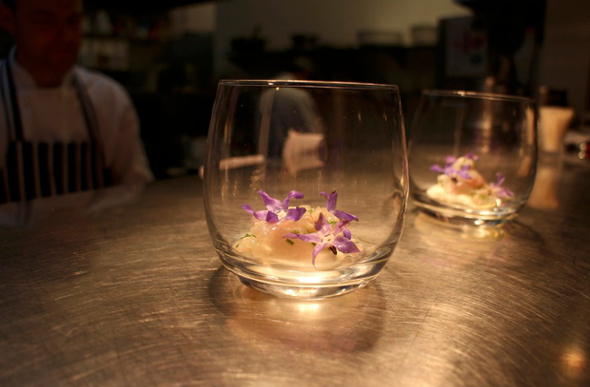 The chefs get to try new food concepts with a constantly changing menu, ensuring an unique experience.